Onlookers gather around the mangled remains of a school bus after it was hit by a train in Kushinagar district in India's Uttar Pradesh state on April 26, 2018. 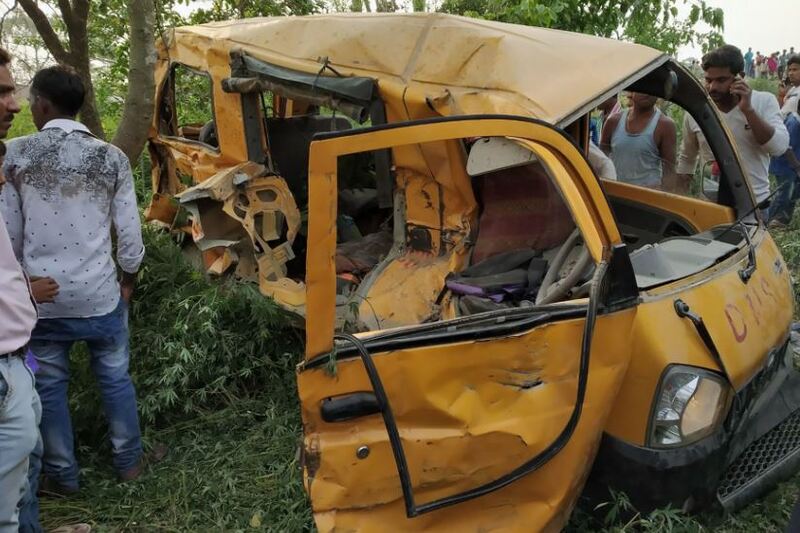 MUMBAI - Thirteen children were killed on Thursday when a school van collided with a train at an unmanned railway crossing in the northern Indian state of Uttar Pradesh, a police official said. Eight children were injured and taken to hospital, said the official, adding there were 22 children in the vehicle.